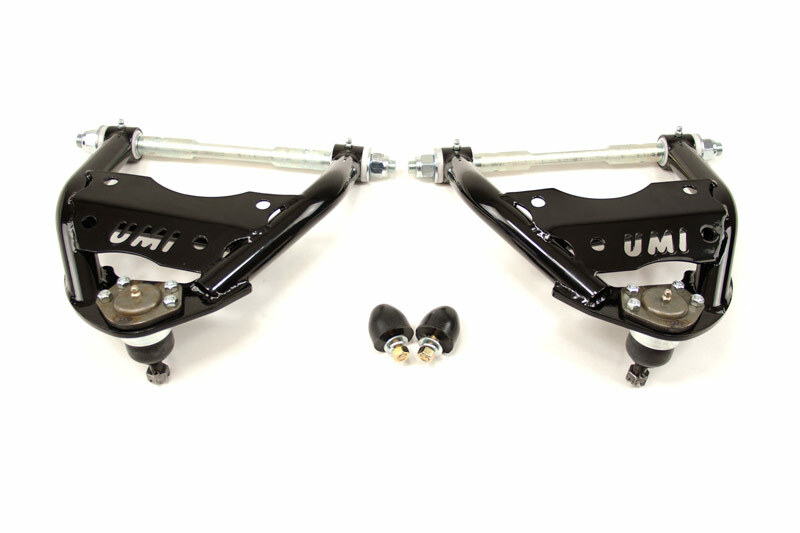 The UMI Performance Stage 2 handling kit includes everything needed to rebuild the suspension on your 1978-1988 GM G-Body. 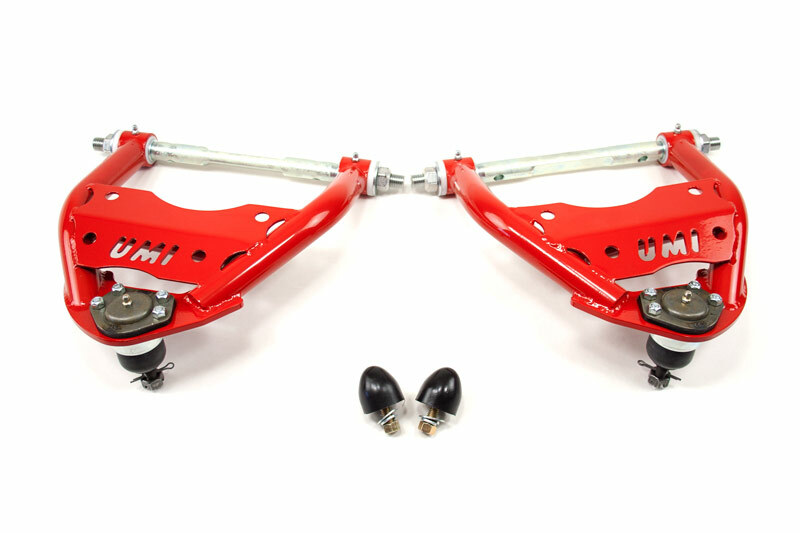 The Stage 2 kit includes upper and lower front A-Arms with tall upper ball joints, heavy duty UMI sway bars with new end links and greaseable bushings, Bilstein HD shocks for all four corners, Eibach Pro Kit lowering springs, rear tubular upper and lower control arms, replacement rear end housing bushings and heavy duty tubular frame braces. We also include all new Grade 8 hardware with locking nuts to complete the installation. 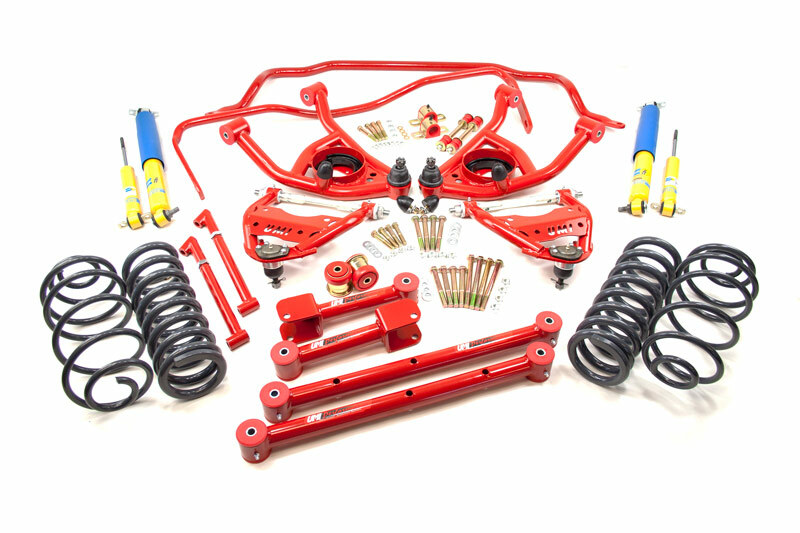 This kit will make any classic cruiser feel like a modern day muscle car! Save $165.00 when purchasing these items as a kit!